Climate change has now gathered such momentum that even if global warming was limited to 1.5oC, the Great Barrier Reef will continue to be damaged from coral bleaching, according to a collective of scientists and reef managers from key Australian universities and institutes. Australian Institute of Marine Science (AIMS) Research Scientist Dr Ken Anthony, lead author in an article published by Nature Ecology & Evolution, says reef corals and the thousands of species they provide habitat for need all the help they can get to survive climate change. The article outlines a range of new reef restoration and adaptation technologies to help protect reefs around the world in a time of climate change. "Climate change will change coral reefs, but if we can preserve coral species that provide critical habitat for fish and other species then we might help sustain their ecological, tourism and fisheries value," Dr Anthony said. Associate Professor David Suggett from UTS:C3, a co-author of the paper says that given the uncertain future for emissions reductions what is needed is the best portfolio of management strategies "ready to go". "Exploring more aggressive management approaches, with the means to implement if necessary, simply cannot be taken off of the table," he said. "Investing into platforms such as reef restoration that have already proven successful at some scales in the Caribbean is gaining traction, but we desperately need the science to understand the most effective, efficient and economically viable approach for the Great Barrier Reef." Associate Professor Suggett leads the Future Reefs Research Program in C3. His laboratory has been looking at "super-corals" found in warm, acidic, low oxygen and turbid environments. "Corals already adapted to thrive in future climate-like conditions of reef-neighbouring mangroves could be used as seed stock for reef restoration to upgrade reef resistance," he said. 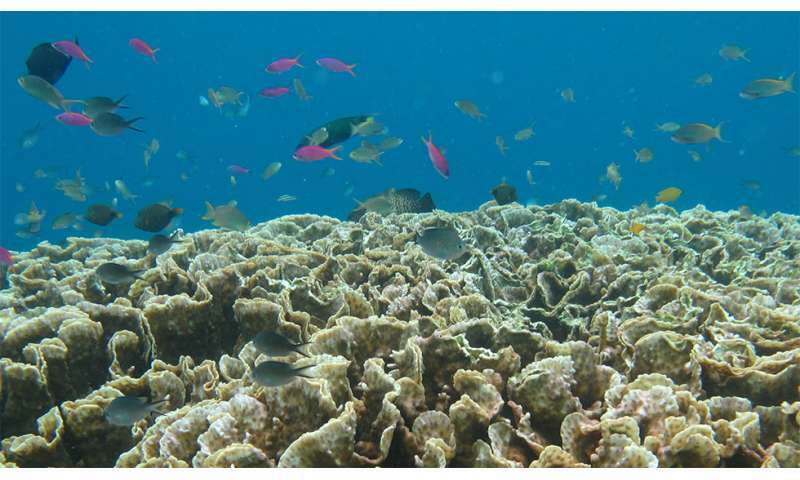 The article also discusses technologies such as assisted gene flow which may involve the relocation of corals from warmer to cooler reefs. Another approach involves enhancing the ability of corals to cope with climate change through selective breeding using techniques commonly used in agriculture. Researchers stress that exploring these technologies needs to go hand in hand with continuing and potentially increasing efforts in conventional management. Climate change mitigation, continued regional management of water quality and controlling crown-of-thorns starfish are all essential. AIMS CEO Paul Hardisty says action is urgent. "This is not only an Australian challenge, but a global one. Reefs around the world are in trouble. We are looking for ways to help restore them when they have been damaged, and to help make them stronger and better able to survive the changes that are coming. "This is uncharted territory, and top quality scientific research is needed to guide the way."